Located 200 km away from Bangkok in the Gulf of Thailand, the T-shaped island of Ko Samet is famous for its white sandy beaches, striking coral and crystal clear waters. The island is characterized with its superb beaches and smooth white sand, surrounded by tropical coral reefs and crystal clear sea. It's a famous tourist terminus for Thais as well as foreigners. Tourists can also enjoy a plethora of enjoyable cuisine and excellent nightlife. 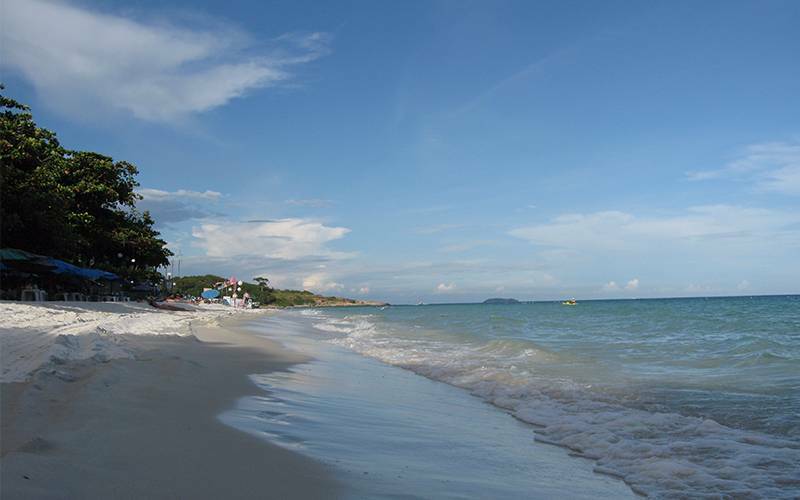 Even though Ko Samet is just a few kilometres away from the inland, the island with its micro-climate (the driest archipelago in Thailand) gets much fewer precipitation than the rest of Eastern Thailand. Ko Samet rainy season it is between May and September, but even then it still has expressively less shower than the other islands in Thailand. Tourists should, however, be careful of sporadic storms. Since Ko Samet is close to Bangkok, the island remains the ideal destination for who want to chill-out with their families for a couple of days away from the capital without having to go through all the hassle of travelling down south. The island is just 2.5-hour drive to Ban Phe with good traffic but expects 3- 4 hours in a regular traffic jam. 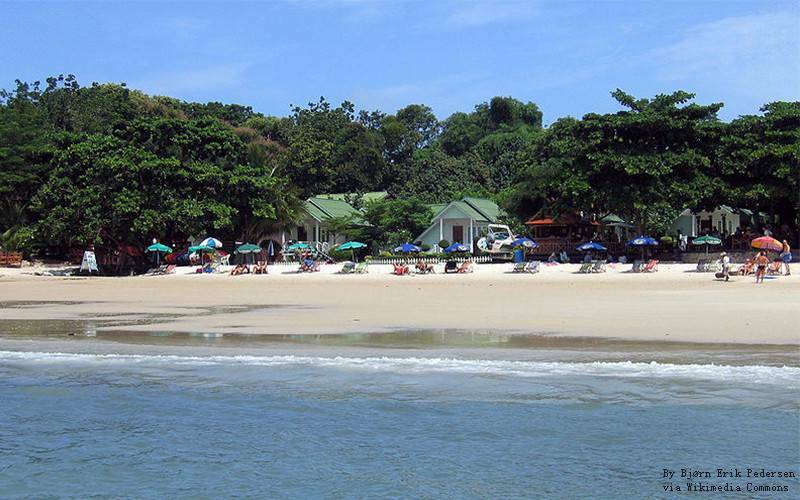 For those who will love to engage in one thing or the other during their stay in Koh Samet, the island has a few events to enjoy if the beauty of the beaches is not quite sufficient to keep you engaged. From the simplest of activities like beach walks to taking your PADI Scuba Diving certificate, there is a collection of ways to keep you lively. Since the island is tiny compared to the more tourists occupied Thai islands around, so sightseeing the island can be easily done on foot, bike riding or by contracting a motorbike/ATV and driving down the island to see a number of the smaller more private beaches and taking some of the more naturally forested region further down to the south of the island. Boat Trips - There are numerous establishments on the island that offer a diversity of various boat trips from around the island on a large slow boat to a seven-island speedboat day trip visiting many of the neighbouring islands from Samet. These journeys are all good value but are sure to have a conversation before you book and make sure you are getting the trip you want and that they are not talking you into another trip as they cannot do the one you are asking for. Also, note that all expeditions depend on the weather situations. Scuba Diving - With the quiet surrounding waters and coral reefs, Ko Samet has something to offer those of all ranks of diving, but it is an especially good place to learn to scuba dive with lessons nearly always on the smaller side and often one-on-one with a trainer. With depths ranging from 5m down to 25m, there is a diversity of local sites to dive on and discover, and there are also the outer islands that surround Ko Samet which offer spectacular coral reefs, such as Ko Talu. Hat Sai Gaew (pronounced as Sai Kaew) and Ao Wong Duan (also spelled Vong Duern) are the most prevalent beaches given their magnitude and figure of hotels, restaurants and beachside activities. Hat Sai Gaew, which is closer to the pier, has many more shops and restaurant choices than the other beaches but is also full of business. On the other hand, Ao Wong Duan remains reasonably silent at night and has about half a dozen restaurants, ranging from Thai to BBQ to pizza. There are one or two small departmental stores too for emergency purchases (the only 7-Eleven is the one back at the pier). But if peace is what you desired, an even quieter and less busy beach is Ao Tubtim is your best bet; a much smaller beach with about four hotels and a mix of restaurants coating it. Also, there is an art installation of piled rocks that make for an excellent backdrop for selfies at the edge. The beachside known as BBQ is another beautiful choice at Ao Wong Duan; they grill to order and can be a bit of a wait, but the wait entirely worth it. Certainly get the ribs and corn for an enjoyable meal. The naturally, the star of the show is Seafood; a must-try is the yellow curry with crab and seafood called bu pad pong karee. Some of the best barbecue restaurants found along Ao Phai and Haat Sai Kaew beaches, but they are of course also on the other beaches with the majority of them serving virtually the same food. There are also local food, curries and Western dishes such as pizza, steak, and hamburgers. Almost every hotel and bungalow has its restaurant. Many also have chairs on the night of the dinner on the beach. If you're relaxing on the beach during the day, there are a lot of road vendors selling fresh fruit, BBQ chicken wings, dried squid, papaya salad (can be very spicy), and ice. The food is a bit more costly than buying outside. If you're after a traditional Thai breakfast, it's a day some ladies who set up their mobile eateries next to the tourist police station. They boiled chicken on rice (Khao Man Gai empty), fried chicken and rice (Khao man gai) or rice porridge (jok) for 20-30 baht. The food is fresh, and they make a brisk trade with both locals and tourists. Gecko Bar – this is located at the end of Ao Phai beach beside the Silver Sand Resort. There you will find a brilliant barbecue with chicken steak in mushroom sauce and beef and chicken plates with prices from 100 to 200 baht. These meals are undeniably worth it.